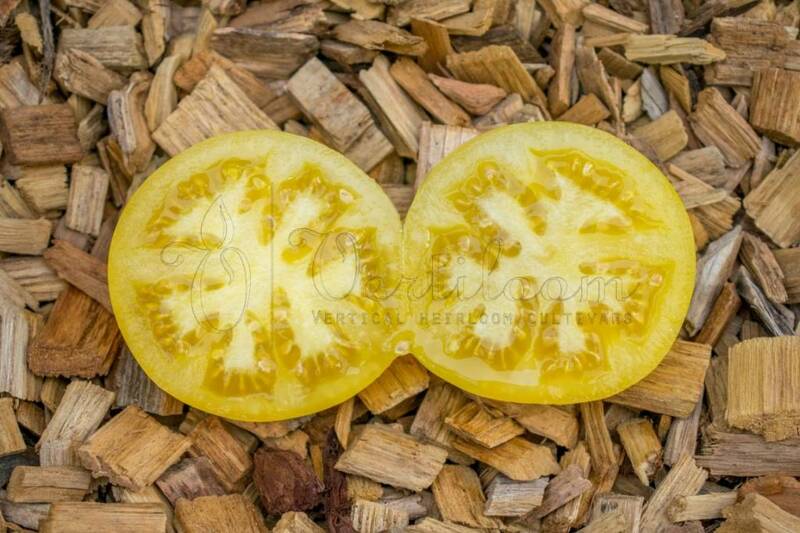 Very recent variety, produced as part of the "Dwarf Tomato Project". 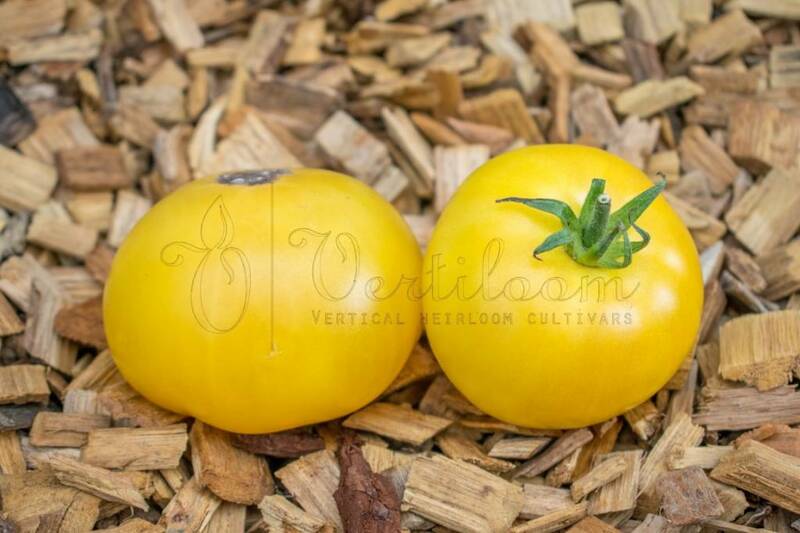 Selected from the "Sneezy Family", cross between 'Golden Dwarf Champion' and 'Green Giant'. Selected by David Lockwood in 2007 and named after his daughter. Released to the public in 2011. 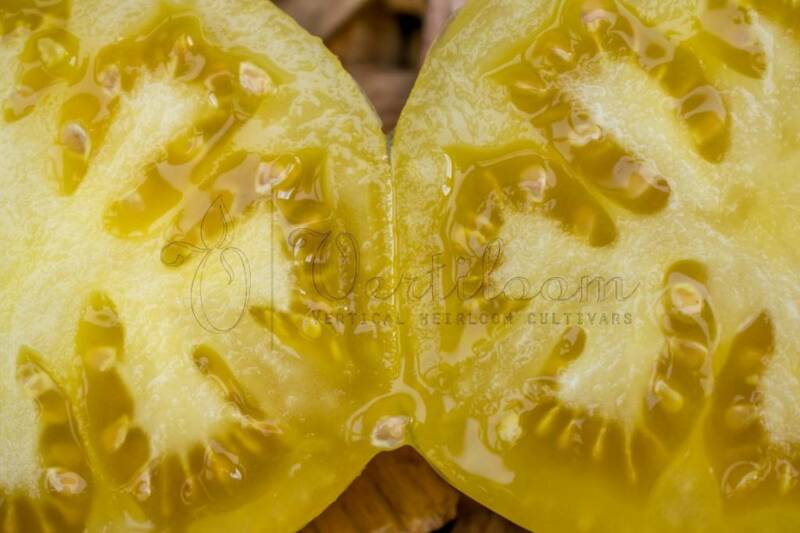 Pale yellow oblate round fruits from 80 to 120 grams. 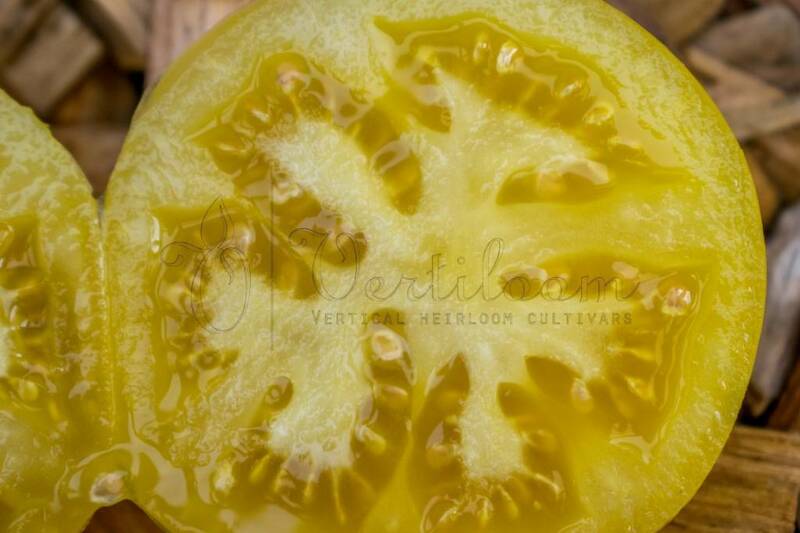 Juicy yellow flesh with an excellent balanced flavor, a very intense sweet aroma. Compact indeterminate plants, tree type from around 4 ft - 120 cm with potato leaves. Very good yields starting from mid-season.